SINGAPORE - A 26-year-old woman who evaded the police and led them on a car chase in Jurong East on Sunday (Nov 5) was arrested after colliding with another vehicle. The police told The Straits Times that they were first alerted to a "suspicious vehicle" along Jurong East Street 32 at 12.47pm on Sunday. They found the vehicle nearby, along Jurong East Avenue 1. However, when the officer asked the 26-year-old woman in the driver's seat to stop, she did not comply and instead drove away. In the ensuing chase, the woman got into a traffic accident with another vehicle. The Straits Times understands that no one was injured in the accident. She was subsequently arrested along with her 31-year-old male passenger for traffic-related and suspected drug-related offences. 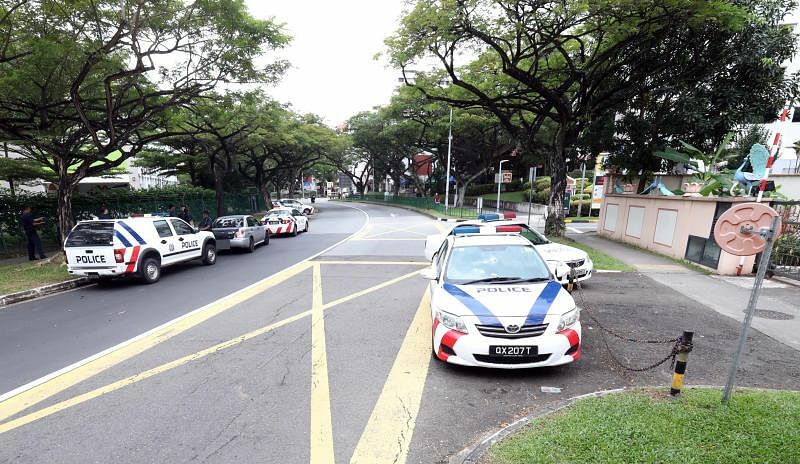 A Lianhe Wanbao reader alerted the Chinese evening daily when he saw several police vehicles in front of the Sri Arulmigu Murugan temple at Block 281, Jurong East Street 21. When Wanbao arrived on the scene, they spotted six police cars surrounding a grey car, which had visible dents on it. Police searched the vehicle and retrieved two bags of evidence, believed to contain drugs.